I arrived in Atlanta last Friday morning for the start of a great weekend. Super great. The greatest. 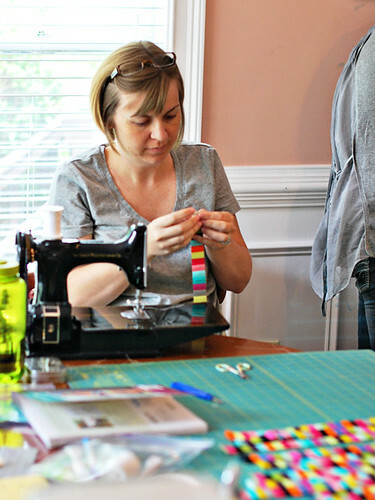 I joined 7 other blogger friends for three days of nothing but sewing, good food, and fabric. Well, I guess there were some shenanigans too. And some really fantastic conversations that I won't soon forget. This is Nicke. (Picture by Jacey) You might think she has a look of fabric-buying guilt, but I think it's more a look of "Don't even think about touching my bolts fools." I got to look at her cute mug mug a lot as we sewed across the table from each other, and shared a room. She's hilarious. She's a potty-mouth. She had enough self-discipline to get up and run in the morning. She's a really strong and wise person. And her stash is enviable. 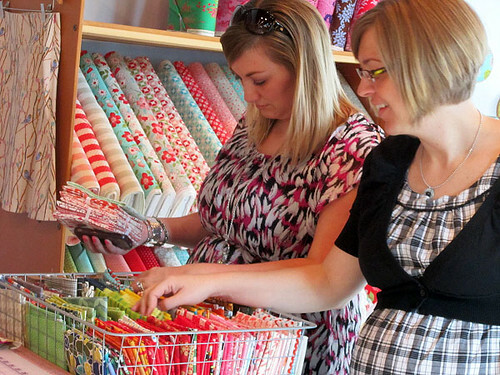 This is Holly on the left, thoughtfully looking for the best fat quarters. (Rachel's picture) This girl has serious style. I never feel anything less than love for her fabric combinations. She has such a sweet spirit. She's an instagram fiend. Her eye knows exactly what blocks in your quilt configuration need rearranged and then it sings. Oh, and she's a fantastic cook. She's just the perfect combo of super classy and super down-to-earth. This is Jacey. (Picture by Holly) You know those people that are just so positive and happy that everyone is drawn to them? That's her to the nth degree. And, bonus: we like exactly the same type of music and movies. She's so good at everything she tries when it comes to sewing and knitting. She was actually one of the last to arrive at the house on Friday, and she was like the glue that suddenly made us all feel like old friends. That's just her. This is Ara Jane. (Picture by Rach) I am SO glad this girl came to Atlanta. I didn't even know her that well as an online friend before the trip. She is fantastic. So funny and relaxed and just plain cool. The kind of person you want to have coffee with any day of the week... well, I think she's more of a tea drinker. But I'd drink coffee and she would not judge me for it. She's a new-ish mother and she just beams when she talks about her adorable daughter. I also wish I could commute to Seattle a couple times a month to be in a book club with her. Smart as a whip, but not the kind of person to lord it over anyone. Although she might kill me for picking this picture of her, this is Maureen. (Jacey's pic) This girl is bottled fun. Chatty as can be, but not in a way that anyone minds. You want to hear Maureen's stories or you feel like you are missing something good. She's your favorite small-town friend. She deals with a couple dietary issues that I would gripe about profusely, but she doesn't. Instead she just tells more funny stories about it. She makes a mean grapefruit mojito, and if I could, I'd be hanging at her house on the weekends bugging her to make it for me. 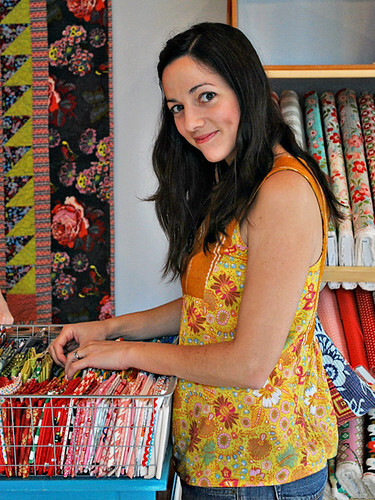 You probably already read her blog, therefore you know that she is crazy artistically talented. Like... CRAZY. Of course you know Rachel too. (Holly again) Rachel in real life is just like you would think she would be. Which is good, because you know blog Rachel and real Rachel are genuine, sincere and lovely. I admire so much about the way she works and takes care of her family. And she never seems to have a creative slump, the beautiful creations just gush from her. She's a real thinker, an organizer, and a major encourager. Basically she was the Leslie Knope of the group, (no Rach, none of the dopiness!) and we definitely needed one, or the whole weekend wouldn't have happened. Everyone loves Leslie Knope and totally roots for her. Enough barfy friend stuff. Tomorrow I'll show you what I got from Whipstitch (where many of these pictures are set) and tell you about even more fun people we got to meet. 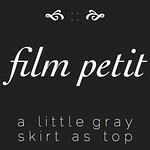 Now seriously, go follow their blogs! you my friend were so so so much fun and i loved talking to you and sewing with you! can't wait for next time! p.s shut your filthy mouth! I, personally, love Nicke's filthy mouth and naughty nature. Just gonna put that out there. I'm so happy you finished your top and it looks amazing!! It looks like you guys had a great time I know Jacey was excited. wow, jessica! so, i was the dope who teared up when it was time to say goodbye, and i'm the dope who's tearing up reading your amazing words about everyone. you've really captured what i loved so much about spending time with you all and you are making my poor attempt at summing up this weekend seem even feebler still. i'm so glad i got to meet you and enjoy your silliness and witness your sewing talents. 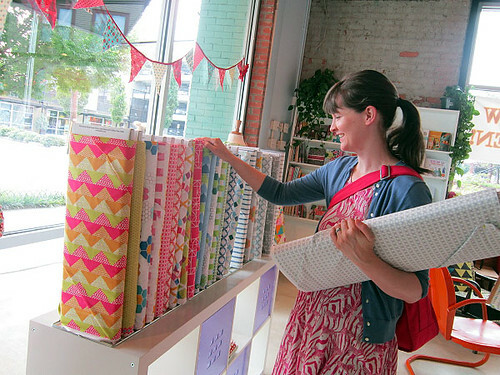 please do come to seattle any time you wish for book discussing, coffee/tea drinking (i am a secret coffee drinker when no one's looking... shhhh), and fabric hoarding. Ara Jane's not the only dope. You made me tear up, too. You are so awesome, Jessica. I am so glad we got to meet in person. You are so fun and hilarious. You're such a card. And your + & x top is seriously amazing. I can't get over it. We'll meet again soon! This is the best post Jessica! You summed up everyone perfectly. Well, except I don't at all feel like I have style but you totally made my day by saying that :) So thank you! You guys are awesome for arranging this! I'm so glad you had a great time with such great ladies! fun post, jessica! honestly, i only "knew" a few of them-always nice to meet another kindred spirit! 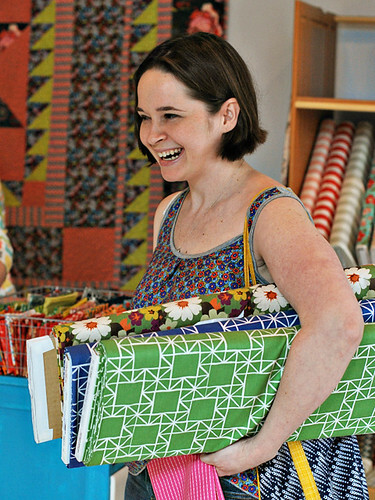 and LOVE your x&+ quilt...I really need one of those. need. did I turn off the word verification?? and yay for no more word verification!! love it!! i've now subscribed to the blogs i was somehow missing. i feel ashamed, don't worry. so fun! 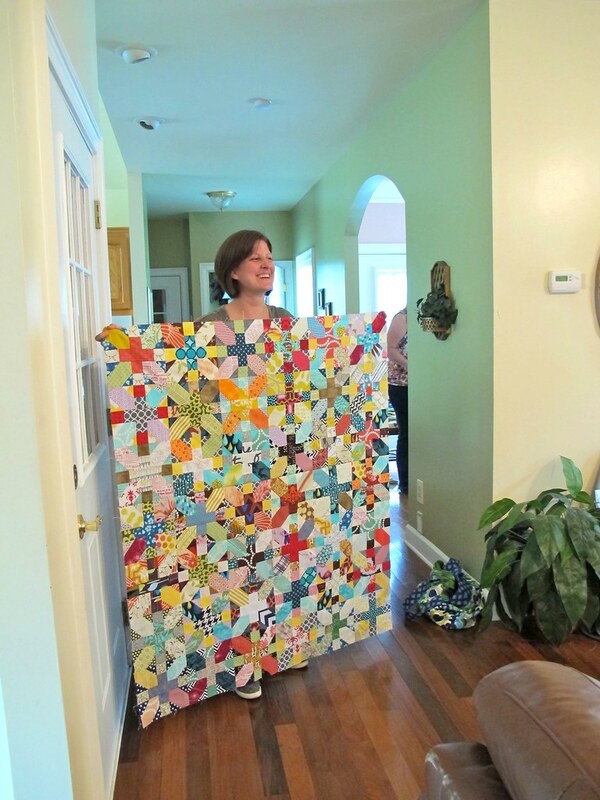 and i LOVE your plus and x quilt! Jessica, you were exactly as I expected! That's because your blog really is as chatty and casual as can be. I love the way you write and the way you are comfortable being yourself. Thanks for being brave enough (or reckless enough ;) to share it with us! Looks like an absolutely wonderful time! I love how you described Rachel as Leslie Knope, nice to throw in a little Parks and Recreation reference there. I can totally see it too, the way she makes covered journals with just the right fabrics for the recipient. What an awesome weekend!!!! Looks like SOOO much fun! Fabric & Good People Who Happen to Design It.